Statistical programs are vital tools for businesses. They assist in analyzing econometrics and statistical data that might be helpful in steering a business in the right direction. The main function of statistical programs is to find trends in business-related data, like IoT analytics. Analysts can then use this information to decide on allocating resources in specific areas. Ultimately, this is meant to increase efficiency and profits. If you are a business owner in the market for a statistical program, consider one of the programs listed in this post. 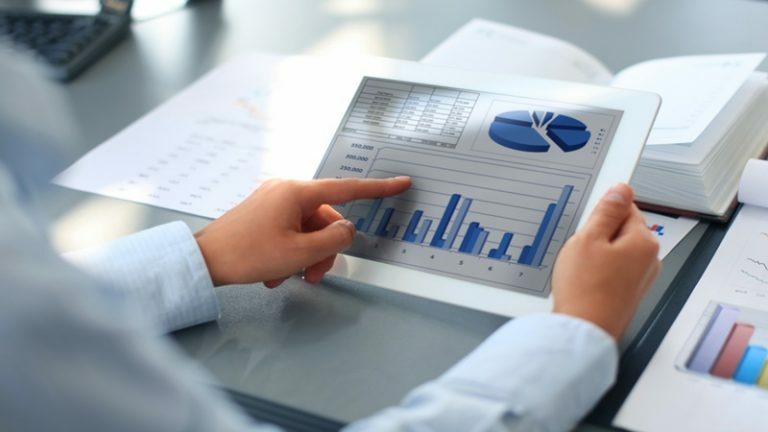 Here are some of the best statistical programs for businesses. Typically, Microsoft Excel lacks data analyzing capabilities. With the installation of a few add-ins however, it can become an adequate statistical program. Excel’s data analysis add-ins include Analysis Toolpak, Solver and Megastat. Megastat, in particular, is able to perform a lot of the same tasks that larger, dedicated programs are capable of. Its features include descriptive statistics, frequency distributions, probability and hypothesis tests. It also beats out larger programs in that it is incredibly cheap. Megastat software goes for $13.50. The other add-ins are free. Excel’s data capacity might not be able to match more expensive statistical programs. However, it holds its own with its pricing and comparable functions. SPSS is a very intuitive program that specializes in statistical analysis, which your CRM app cannot do. It has an advantage over Excel in that it is designed to handle statistical processing in large quantities. In general, it is meant to function at an enterprise level. However, it is still great for small business owners as it is very easy to use. It has a spreadsheet interface that will make excel users feel right at home. The program has several additional features. Some of these are advanced statistics, bootstrapping, custom tables and regression capabilities. Prices vary greatly due to the many bundles that exist. Students can buy an “SPSS Grad Pack” for $98. However, business owners should expect to pay closer to $200. It is however, a quality product that is comfortable to use and packed with advanced statistical capabilities. SPSS is highly recommended, as long as pricing is not an issue. SAS is one of the most advanced statistical programs on the market. It is capable of organizing extremely large sets of data. In addition, it includes advanced programming features that allow the user to set unique data analysis functions. However, due to these programming features, the software is relatively difficult to learn. It is meant mainly for intermediate to advanced data analysts. Unfortunately, SAS pricing is reflective of its high-end features. A one year license starts at $8700. However this price does drop down to about $2300 in subsequent years. Despite this, SAS offers a near limitless amount of data storage. Its programming language also allows for a lot of customization. If you can handle the pricing, SAS is probably the best statistical program in terms of features. SAS Unviersity addition is the perfection solution for those hoping to find free statistical software. This version includes up-to-date releases of some of the top data as a service solutions, including SAS Studio, Base SAS, SAS/ACCESS, SAS/STAT and SAS/IML. Using this free statistical program, you can navigate an intuitive interface to learn a powerful, comprehensive programming language. In addition, the software features tools for state of the art statistical methods and a flexible matrix programming language. This helps to offer your the most in-depth analysis possible. If you want to find free statistical programs, you probably will not be able to find a better one than SAS University Edition. R is an open-source program. This means that it is highly customizable and open for editing by anyone. This also means that, like SAS, you need a bit of programming knowledge. R’s programming language is not as complicated as SAS, however. It is similar to other languages like C or Fortran. You will be able to take R’s capabilities as far as your programming skills allow. The program itself is free. However, certain download packages might cost some money. It also carries a few office security risks due to its open-source nature. Overall, R is great for anyone with decent programming knowledge and a small budget. Statistical programs vary greatly on pricing and features. Programs like SAS cost over a thousand dollars. R and Excel, on the other hand, are absolutely free depending on what you decide to install. Programming requirements vary as well. You will need some knowledge to use SAS and R, while programs like Excel and SPSS are easily accessible. Deciding upon the best statistical program will depend on all of these factors. Consider where you are as a business. Choose one of the above statistical programs and you will not be disappointed.